DogLife Broomfield - Doggie daycare, dog boarding and overnight services. Your dog will enjoy a fun-filled vacation here at DogLife Broomfield. During the day your dog will enjoy safe, closely supervised indoor/outdoor playgroups. Our off-leash playgroups are focused on fun and the well-being of your dog. Providing a safe, positive social play experience for your pet is our priority. If you are planning on going out of town for the holidays consider our Dog Boarding Services. Our facility is equipped to provide your dogs with a vacation filled with fun. Your dog will be able to run around and play with other dogs and staff members. We also have a giant doggie pool for dogs to play in. We also have custom kennels, so when it comes time to go to sleep, your pooch will rest peacefully. 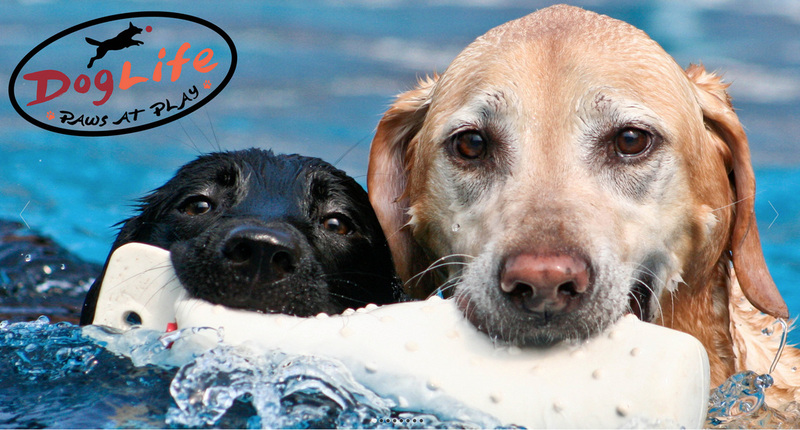 We are the only Doggie daycare facility in Broomfield that has an indoor heated swimming pool, where you pups can play with their furry friends year-round. Safety First! 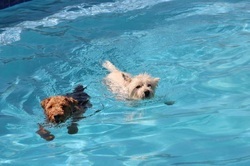 We will keep a close eye on your pup as they splash around in the pool.